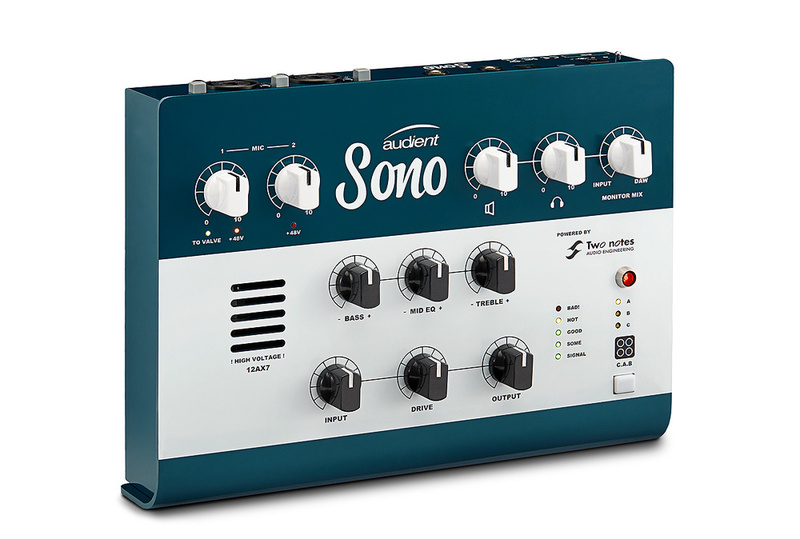 Audient's Sono is an audio interface designed specifically with guitarists in mind — and that doesn't mean just adding a high‑Z instrument input and then saying 'job done'. The Sono includes a high-voltage (over 200 Volts) 12AX7 dual‑triode valve in the preamp signal path plus an analogue three-band tone section optimised for guitar. If it just stopped there that would be good news, but Audient have done a licensing deal with Two Notes to add their respected Torpedo processing, which provides power amp simulation and IR-based cabinets with a useful choice of 20 cabinets (plus the ability to purchase more) and the capability to store three presets within the Sono itself.